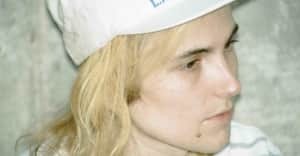 Zane Lowe debuted the title track from Diiv's forthcoming album on his Beats 1 Radio show today. "This song was the last song that got written for the record," Diiv's Zachary Smith told Lowe. "It actually got written after we recorded the entire rest of the record. And I felt like there was kind of a hole in the middle... I felt like it kind of lagged a little bit. And I wanted something kind of upbeat and fun." "I had just done this documentary thing where I recreated my favorite song from scratch," Smith continued, "a song called 'Hallogallo' by the German band Neu! I was like well, I could kind of do that maybe?... it's kind of my homage to Neu! and to Krautrock in general." Listen below. Diiv's album arrives February 5, 2016. The band announced a series of shows to celebrate the release in L.A., San Francisco, and New York City; check out the dates above.